The earliest reference I have found to “Codnor Gate” is on Greenwoods Map of Derbyshire dated 1830. 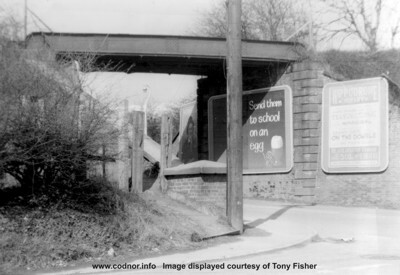 The name Codnor Gate most likely originates from the Toll gate on the Cromford to Langley Mill Turnpike Rd, which passes through Codnor. 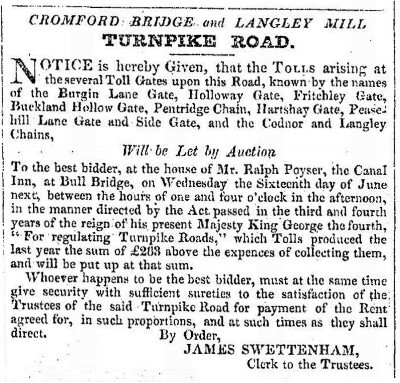 The Cromford Bridge and Langley Mill Turnpike Road (1766) Started at Cromford Bridge and passed through Crich, Codnor, Woodlinkin and Aldercar before finishing at Langley Mill. It was 13 miles long and had several main and side gates along its length for collecting tolls. There were two gates at Codnor Gate (Peasehill lane Gate and Side gate) both located near the junction of Peasehill Lane and the main Cromford-Langley Mill Road. 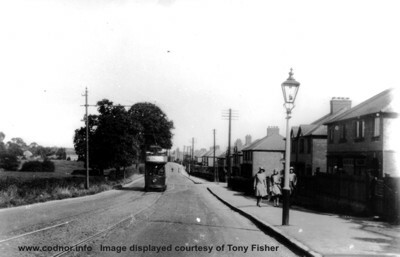 Fig.4 A tram waiting at the passing loop at Codnor Gate, pre 1933. This is now the approximate location of the traffic lights. The entrance to Eastfield Road can be seen on the right. 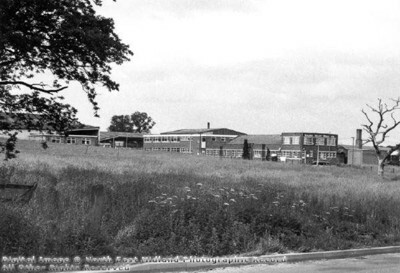 Fig.5 Early photograph of Codnor gate Industrial Estate in the 1970. 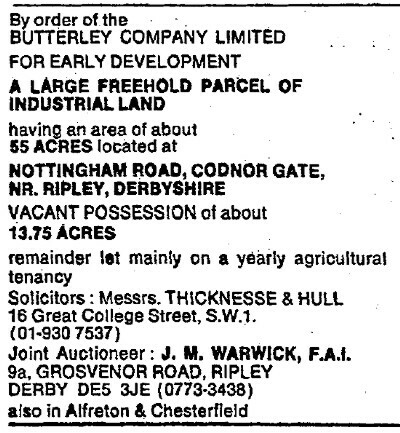 Fig.6 Details of an auction dated September 15th 1969 for land being sold by the Butterley company for the building of an Industrial Estate at Codnor Gate. Image credited to the Times Newspaper digital archive. 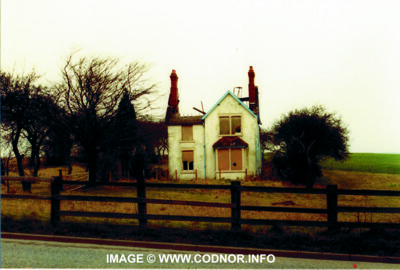 Fig.7 Codnor Gate Farm, remembered by many as Lynam's Farm as it was owned by George Arthur Lynam, who delivered milk via horse and cart. 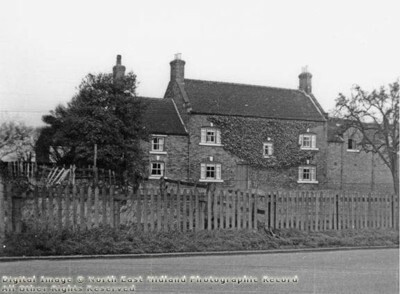 Fig.8 Lynam's Farm (Codnor Gate Farm) Heanor Observer 1961, Original image credited to George Eyre. Fig.9 The fields between Codnor Gate Farm and High Holborn Wood, were often used by the community for holding events. 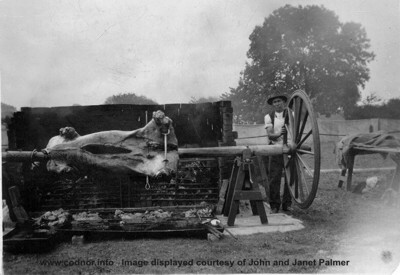 This image shows a Hog Roast at an unknown event in this area. This area is now covered by the Codnor Gate Industrial Estate. 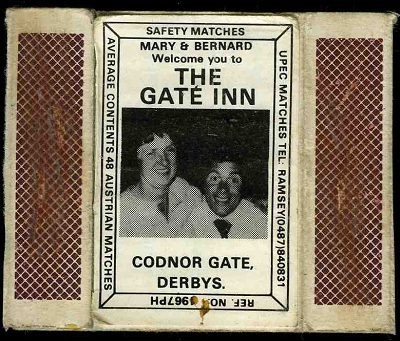 Fig.10 The Gate Inn public house. 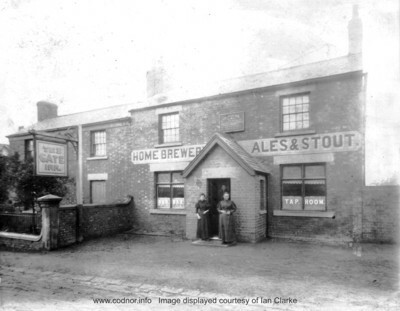 The board above the front porch indicates that the licensed victualler is William Marlow. William died in 1898 and its likely that this photograph was taken after his death when his wife Rebecca Marlow continued to run the pub. 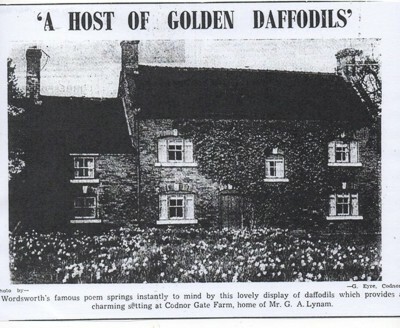 By 1911 the Gate Inn had been taken over by James Wright. 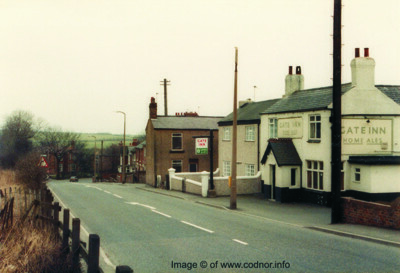 Fig.11 An interpretation of both sides of the original pub sign at the Gate Inn, as described by Joseph Millot Severn in his book "My Village"
Fig.13 Gate Inn 1980's, now demolished. 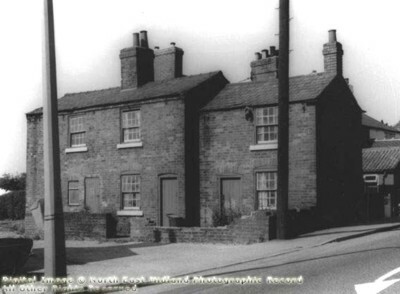 Fig.14 A row of three cottages that once stood sideways on to the main road, now the location of the Gate Inn car park.